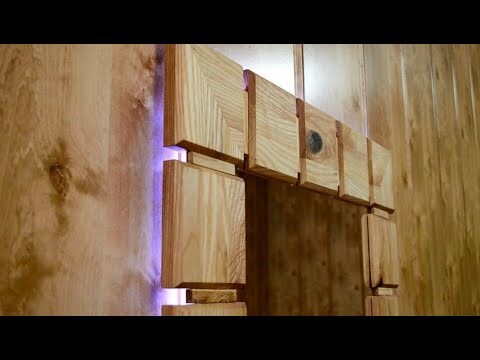 In this video, I demonstrate the process of manufacturing a wall mirror from a recycled wardrobe door. The height of the wardrobe door was 2 meters so I had to shorten them a bit. With a bit of luck, I was able to cut the mirror without damaging it. I plan to hang the mirror in my corridor. I added an LED light with multi color modes of lighting. So this can be also used as a nightlight. On the perimeter, I added ash wooden inserts to make it more interesting. In general, this was a new experience for me, and the most importantly my Girls supported this project.